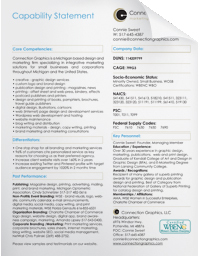 Connection Group (Connection Graphics LLC) is a Michigan based design and marketing firm specializing in integrative marketing solutions for small businesses and corporations throughout Michigan and the United States. Publishing: Magazine design, printing, advertising, mailing, print, and brand marketing. Michigan Optometric Association, please call us for contact information. Non-Profit& Event Branding: WISE – brand visuals, logo, website, community calendar, e-mail announcements, digital media, social media, copy writing, and print marketing materials. Please call for contact information . Organization Branding: Charlotte Chamber of Commerce logo design, website design, digital app, brand awareness campaign, marketing. Please call for contact information. Corporate Branding /Marketing: Print marketing services, corporate brochures, sales sheets, internet marketing, blog writing, website SEO, social media management. Please call for contact information . Over 30 years experience in graphic design, marketing, publications, web and print design. Graduate of Kendall College of Art and Design in Graphic Design (BFA), and E-Marketing Degree from Lansing Community College. Recipient of many gallery of superb printing awards for graphic design and publication design and printing. Best of Category from National Federation of Gallery of Superb Printing for catalog design and printing.